Bill of RightsScroll down to the bottom of the page to listen to audio version of our national documents. The country of our (American) citizenship. A territory land identified as the United States which is a part of the total global world. 2. States - Small territories which create the entire country of the United States. There are currently fifty small territories authorized by the American Constitution. 3. Welfare state - a state that has been given control by Congress to take control of citizen education, employment, housing, health care, and retirement needs. 4. Citizen/Member of America - Anyone who was "born" in the United States, or who has received a pass by our central government to have residency in the United States. 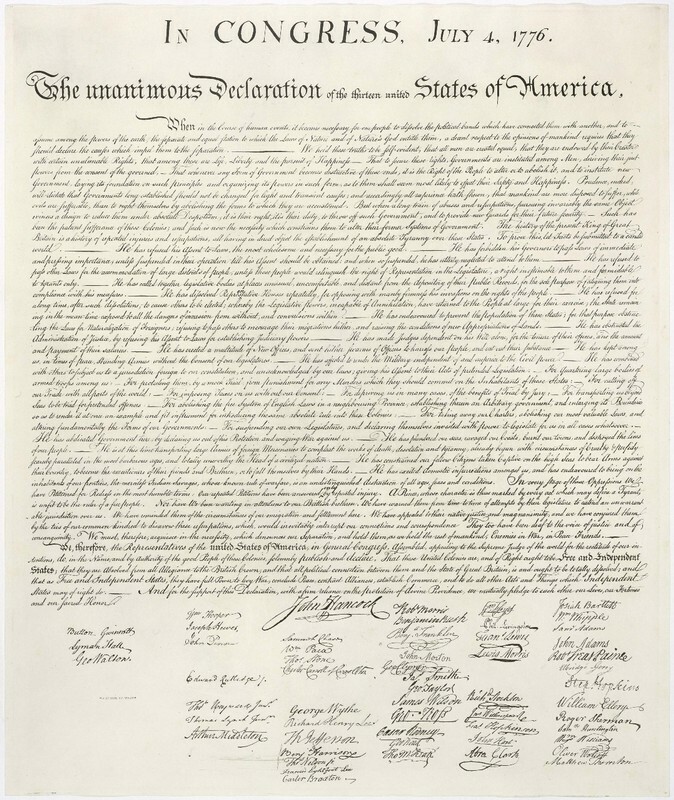 5, Declaration of Independence - an official document that argues and enforces the separation of the United States and Britian (i.e., Europe, UK). 6. 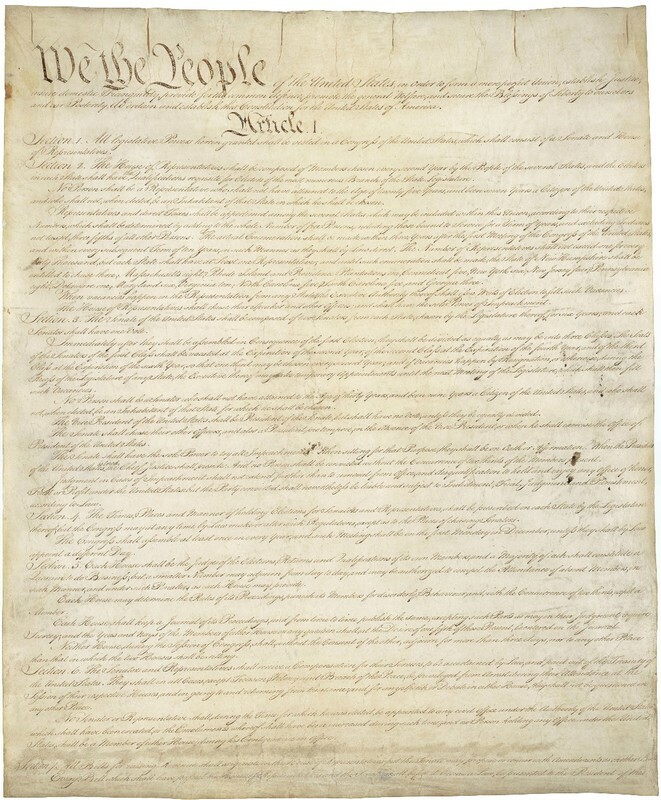 Constitution - an official document that provides structure of policy and regulations to be carried out by all government organizations and staff of the United States. 7. 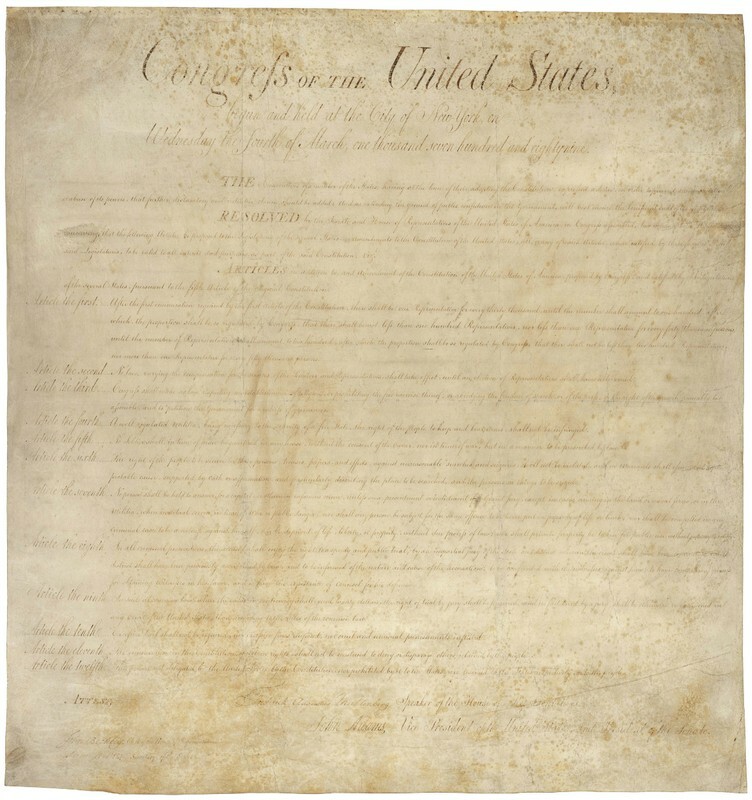 Bill of Rights - an official document that reinforces the rights of citizens and states (small territories). Such rights as free speech, religious organizations, public gatherings, to address government about an issue, and to keep and bear arms. 8. Bill - a hopeful clause or law that an individual or group would like to see officially recognized. 9. Amendment - a change or revision to what was originally written into law or procedures. 10. Federal political staff - anyone who works in Congress (i.e., President, Vice-President, Governor, Senator). 12. Congressman/congresswoman - a member of the House of Representatives and receives comments from people within their particular state. 13. State department - the United States' office of foreign affairs. 14. Secretary of state - the highest ranking staff member of the United States foreign affairs. 15. United Nations - an international (foreign) organization that helps to seek peaceful solutions to conflicts and to facilitate trade, cultural, and humanitarian exchanges between nations. 16. Foreign trade - any purchases outside of the United States of which there may be tariffs, taxes, and quotas involved. 17. Most favored nation - an international company that the United States has allowed to participate in trading with us. 18. NAFTA (North American Free Trade Agreement) - an official document that eliminates certain trade restrictions and tariffs. 19. NATO (North Atlantic Treaty Organization) - a mutual agreement between the United States and European nations to provide mutual protection against outside harmful nation actions. There are currently at least nineteen member nations working together in peacekeeping and defense missions. 20.. Party - a formal "real" political organization (i.e., Republican, Democratic, Green, Independent). 21. Bipartisan - pertaining to the two major political parties (Republican, Democrat); relating to the working together of two political parties, despite differences, to achieve a common goal. 22. Green party - group that advocates strong protection of the environment. 23. Deficit - the central government has allowed the United States to have more debt than money to save for other programs or usage. Money to pay bills or to save usually begins on October 1, yearly. 24. Surplus - the central government has allowed the United States to have more money left over from paying its debts. 25. Laissez-faire (pronounced lay says fair) - the policy that says if you leave the economy alone it will fix itself, without government assistance that would generally be authorized by Congress and its federal staff. 26. Trickle-down theory - a financial attitude or policy that gives to corporations (big business with more than 100 employees) tax breaks, or other benefits, results in a trickling down of benefits for employees and other underserved citizens. The belief that such actions will stimulate the economy. 27. Boondoggle - any government program in which taxes are wasted through poor planning, incompetence, and inefficiency. 28. Bureaucracy - government administration composed of bureaus headed by nonelected officials. Also, any government office that tries to prohibit actual rules or an activity from actually taking place. 29. Nonpartisan - not favoring or supporting any one party. 30. Partisan - favoring or supporting one party. 31. Activist - one who works for a cause. 32. Candidate - one who is seeking an actual job title or position. 33. Write-in - the writing in of the name of your favorite candidate, a mock vote for an individual to have some idea whether they will win or lose an election. 34. Caucas - a formal meeting to officially select a candidate. 35. Conservative - a belief in traditional systems, regulations, laws, and values that are sometimes challenging to change or rewrite. 36. Liberal - a belief in total freedom (It's a free-world attitude or all things, do you) on "all" issues of systems, regulations, laws, and values that are sometimes unorganized and challenging in actually carrying out. 38. Committee - a formal group or organization that has specific job duties focused on a certain interest(s). 39. Madam President - Title of a female who is elected into office as the President of the United States. Our Nation's Documents (audio version) , click here! Current narration of the proposed 2017 National Budget (March 2016 - until finished); This the final budget proposed by our current president, President Barack Obama.